Description: Crunch Fitness Center in Toms River, NJ is a gym and fitness center filled with strength and cardio equipment, spin and yoga studios, full-service locker rooms, spa amenities, massage beds, tanning, saunas, and steam rooms. Berardi Building Company, in addition to ranking #1, captured the #2 ranking for fastest built Crunch Fitness after their construction of the Toms River, NJ location. Within 82 days of the start date, the design was implemented and completed for the 21,000 square foot facility. 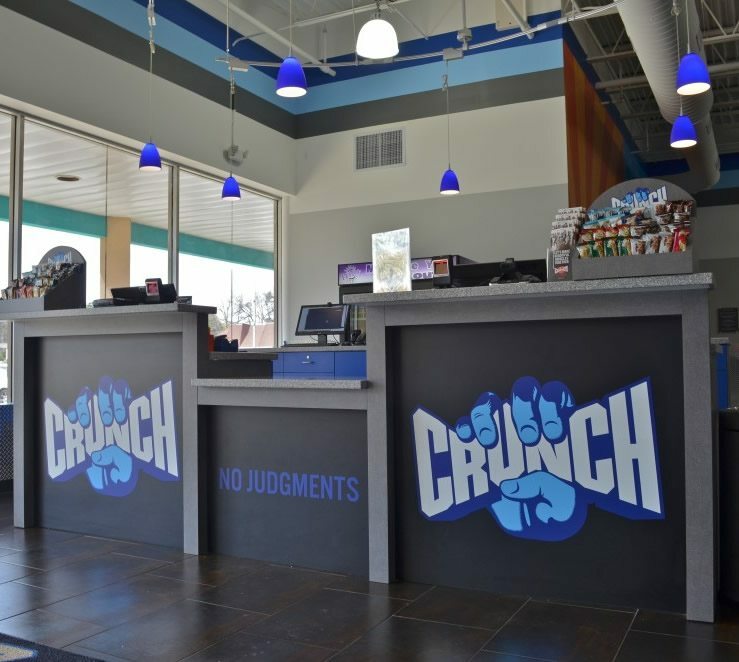 Crunch Fitness franchise owners were pleased to see their facility open 45 days ahead of schedule. In today’s market, business owners are looking for construction companies who can get projects completed yesterday. We understood that every day the facility was under construction was a day they were not eliciting patrons and gaining new business. We work closely with clients to meet their needs, and for Crunch Fitness, as with most commercial projects, timing was everything.